Barbara Becker-Cantarino has published widely on German literary culture from 1600 to the 20th century with a concentration in the seventeenth, eighteenth century and early nineteenth century. She has maintained an abiding interest in the Romanticism, the Enlightenment, reading, letters, women writers. the construction and representation of gender, and the intersection between literature, religion, and other social and cultural discourses. Some of her recent publications include articles on autobiography, infanticide as a literary topic, friendship, memory and gender, Pietist women, migration and Pietism, an edited volume on Berlin, a co-edited book on Ingeborg Drewitz (2005) and one on Sophie von La Roche and her literary field (2010), both volumes resulting from DFG-sponsored conferences on the respective author. She has undertaken a study and translations of Pietist Johanna Eleonora Petersen's autobiography (1719) for The Other Voice (University of Chicago Press, 2005), and published monographs on German Romantic Women authors (Beck, 2000), on La Roche as professional author (Heidelberg: Winter, 2008), and on gender and German studies from early modern to modernity (Berlin, 2010).She is working on an extended book project on sexuality, gender and Romanticism. She has received a Guggenheim Fellowship, a Humboldt Foundation Forschungspreis, research fellowships from NEH, DAAD, Fulbright among others and received the OSU Distinguished Scholar and the OSU Distinguished Lecturer Award. 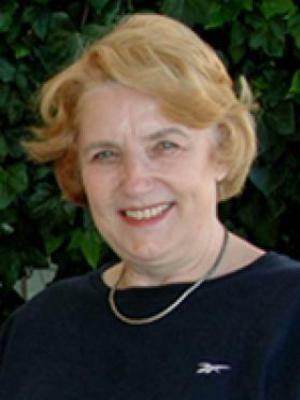 She held visiting professorships at the Free University of Berlin, the University of Graz (Austria), the University of Wroclaw (Poland), at Oxford University, at the University of Maryland.- Her teaching interests at present focus on questions of religion, violence, and early modern German culture, on German migrations to North America, German-American cultural relations, and on the intersection of gender, sexuality and modern culture. The Camden House History of German Literature. Vol. 5: THE EIGHTEENTH CENTURY: ENLIGHTENMENT AND SENSIBILITY edited by Barbara Becker-Cantarino. This work provides fresh analyses of the complex literary and cultural topography from around 1700 to 1790. With 12 essays, 368 pp. Rochester, NY: Boydell & Brewer, 2005. The Life of Lady Johanna Eleonora Petersen, Written by Herself. Pietism and Autobiography. Translation, with Notes and Introduction by Barbara Becker-Cantarino. Chicago and London: The University of Chicago Press, 2005. Meine Liebe zu Büchern: Sophie von La Roche als professionelle Schriftstellerin. Heidelberg: Winter, 2008. Genderforschung und Germanistik. Perspektiven von der Frühen Neuzeit zur Moderne. Berlin: Weidler, 2010. (editor) Migration and Religion. Christian Transatlantic Missions, Islamic Migration to Germany. Amsterdam / New York: Rodopi 2012. German literary culture from 1600 - 20th c.
"Wenn sie das Wort Ich gebraucht" Festschrift für Barbara Becker-Cantarino von Freundinnen, Schülerinnen und Kolleginnen (Chloe Band 47) Pustejovsky, John and Jacqueline Vansant (Eds) Amsterdam, New York: Rodopi, 2013.